Even if you’re locked away in a basement for eight hours a day with a metronome and a torturous practice book that is equal parts Mel Bay/Guantanomo Bay, you’re still not assured of transcendent six-string skills. Sure, you may get stenographer-like dexterity and harmonic book-smarts up the f-hole, but playing soul-shaking music often requires a more diverse skill set. But this doesn’t mean that attaining the level of expression produced by someone like Jeff Beck necessitates a life of guitar monk-dom. First, don’t worry about the transcendent and unattainable talent of Jeff Beck. That’s just silly. What you need to do is ensure that whatever you play makes the hair on your arms stand up and quiver with bliss and excitement. Here at Guitar Player, we figure that if you’re going to expand and maximize your talents, you may as well learn from the best. So we offer these 25 tips from cats who know their stuff—from rock royalty to jazz patriarchs to any-and-all top-of-their-game bad-asses. Hopefully, you’ll find something in these cosmic, practical, and musical nuggets of wisdom that will kick that rut-raddled mind of yours into higher gears of inspiration. admin September 25, 2015 . Categories: Band Info, Free Resources, General Information, Guitar Information, Guitar Player, Guitar Tips, Live Music, Performance Information, Rehearsal Tips. We guitarists reveal ourselves to the world in a lot of different ways. Our note choices, the tones we choose, the notes we avoid, styles we gravitate to. Playing music is a very personal form of communication, unique to every individual, yet it’s also a universal language with enough common information to be understood by anyone. And just as with verbal communication, body language is crucial when it comes to guitar. You can tell a lot about a guitarist by how they wear their instrument. And that is the crux of our hypothesis today: that strap length is directly related to personality and musical style. This is merely a hypothesis, one of many possible interpretations of the strapular-guitaristic-personality matrix. There are six main guitar strap length personality types: Low-precise, Low-relaxed, Mid-precise, Mid-relaxed, High-precise and High-relaxed. 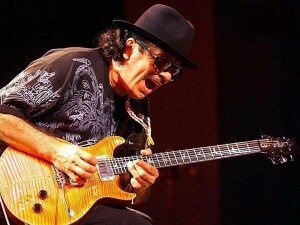 There are very, very few exceptions – for example, those who exclusively play sitting down, or who have an entirely unorthodox technique like WWIII guitarist Chet Thompson, whose party trick is playing the guitar upside down with the body on his shoulder and the headstock between his legs, with both hands on the fretboard. Zakk Wylde is capable of incredibly nimble feats of guitar daring. The speedy ascending licks in the “No More Tears” solo, the epic harmonics of “Harvester Of Pain,” and of course nailing the neoclassical fury of Randy Rhoads nightly on stage with Ozzy Osbourne – all are indicative of Zakk’s technical command of the instrument. But watch Zakk in concert and you’ll see that the guitar itself is part of the performance, not simply an instrument to perform upon. Zakk wears his guitar low and if that’s the perfect position from which to blast out a fast alternate-picked chugging riff like “Parade Of The Dead,” so be it. But when it comes to laying into those precise solos, Zakk typically hoists his Les Paul into a much more shred-friendly position. Whatever it takes to do the job, Zakk is able to do it while simultaneously stalking the stage like a heavy metal viking god. 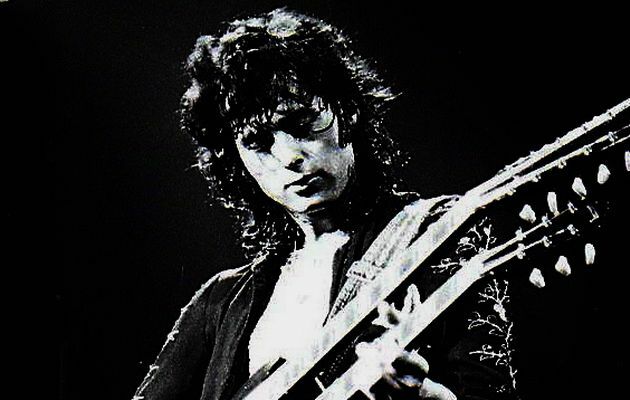 In the studio, Jimmy Page is a sonic explorer, a brilliant arranger and producer, and a man who can craft three-dimensional musical experiences seemingly as easily as breathing. But on stage an entirely different side of Page’s musicality comes out. The studio craftsman is pushed aside by a swaggering rock god, the ultimate guitar hero, with exaggerated gestures and sure, the occasional gloriously sloppy note. Page’s onstage blues-meets-prototypical-metal style doesn’t just work better with a low-slung Les Paul: it practically demands it. Joe Bonamassa is that rare kind of player who lives in the moment yet never seems to lose control of what they’re expressing at the same time. He has the ability to see in between each beat, each note, and pull out the most perfectly phrased licks and melodies time and time again from his Les Pauls (such as the Gibson Custom Joe Bonamassa Les Paul and the Gibson USA Joe Bonamassa Les Paul Studio). If you watch his hands while he’s playing, there isn’t a single muscle twitch that seems to be out of his control, yet the musical results are always human, never mechanical. Paul Gilbert is still a very precise axeman – that’s why this category called Mid-relaxed instead of Mid-sloppy – but he’s the perfect example of a player who wears their guitar mostly around the mid level (around tummy-height rather than sub-belt or encroaching-on-chest) and who employs their whole body in playing guitar. 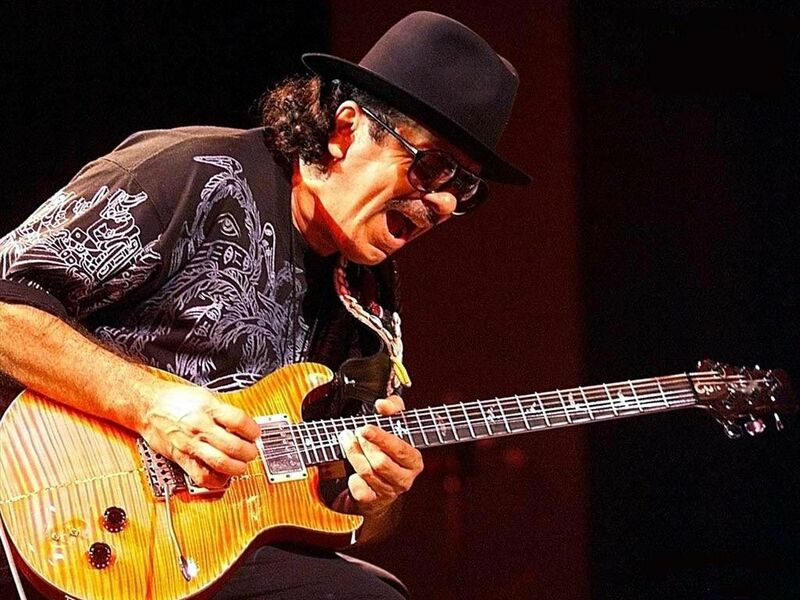 In clinics and lessons Gilbert is fond of expressing the importance of using ones’ picking hand as a type of metronome, letting it travel far away from the strings before crashing right back down on the perfect beat. It’s the same type of approach used by great funk guitarists like Nile Rogers, whose pioneering rhythm style is dependent on the physical manifestation of rhythm. The electric riffs Tom Morello has pumped out with Rage Against The Machine, Audioslave and Street Sweeper Social Club are deceptively nuanced and intricate. Just listen to the fine details in the rhythm guitar work of “Killing In The Name” by RATM or Audioslave’s “Revelations” – surely Morello wouldn’t be able to rock out that hard or play such sensitive arpeggios if he was slinging his strap down at Johnny Ramone levels. One half of the guitar team from The Strokes, Albert Hammond Jr. is instantly recognizable even in silhouette: his distinctive ‘just out of bed’ hairstyle and high-slung guitar are very identifiable. Hammond regularly employs a very loose picking technique that appears to originate from his elbow rather than the wrist, and his guitars are worn at precisely the right height for maximum efficiency and attack. And if you listen closely to The Strokes in headphone it becomes immediately apparent who is doing what. Nick Valensi handles more of the lead and single note work, while Hammond’s insistent, consistent strumming technique makes him a rhythm guitarist in the truest sense of the word. admin September 25, 2015 . Categories: Band Info, General Information, Guitar Information, Guitar Player, Guitar Strap Length, Live Music, Musician, Rehearsal Tips. 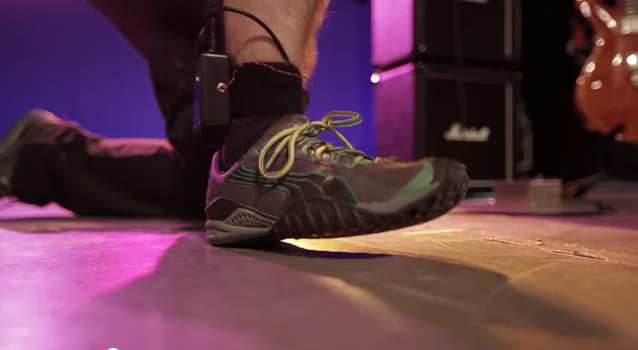 Students from Purdue University’s School of Mechanical Engineering recently developed the Ghost Pedal, a wireless device that uses sensors attached to the guitar player’s foot to create a wah effect—minus the physical pedal. Once the Ghost Pedal is turned on, the user enters a 10-second mode during which the variable resistor calibrates the ability to flex the foot from the floor. After calibration mode, the guitarist enters freeplay mode. For more on this story, give Google a try. For some reason, there’s not much out there. admin September 2, 2015 . Categories: Collaboration, Guitar Information, Guitar Player, Musician, Performance Information. Whether it’s playing “Stairway to Heaven” until your fingers bleed or always finding yourself in the center of a group of people intent on singing “Wagon Wheel,” some things are common to all guitarists. Including, as it turns out, their brain chemistry. But part of this ability to synchronize actually comes from one overarching truth about guitarists: they’re more intuitive than most. It sounds weird to solo while hooked up to a scanning machine, but a few brave guitarists pulled it off and contributed a major finding to the science of guitars. Researchers found that, when a guitarist shreds, he or she temporarily deactivates the brain region that routinely shuts down when achieving big-picture goals, signaling a shift from conscious to unconscious thought. And when mere mortals (non-musicians) attempt a solo, the conscious portion of their brain stays on, which indicates that real guitarists are able to switch to this more creative and less practical mode of thinking more easily. All of the research makes it clear that guitarists are just super spiritual, intuitive people. Think about anyone from the Jimmy Page to the Edge right on up to Bon Iver. That sort of intuitive thinking runs all the way to how they learn. Unlike musicians who learn through sheet music, guitarists, according to researchers at Vanderbilt University, get a better grasp of a song by looking at someone playing it rather than reading the notes on paper. The intuition might come from one truth every guitarist knows: playing guitar transcends basic brain chemistry. In a famous incident, Pat Martino, a renowned jazz guitarist from Philadelphia, had 70% of his left temporal lobe removed in his mid-30s due to a hemorrhage. When he came out of surgery, he couldn’t play any longer. But guitar-playing is about more than any one part of your brain. Within two years, Martino was able to completely relearn how to play the jazz guitar. Scientists everywhere have used his brain as an amazing example of cerebral plasticity. For guitarists, he represents something else — playing guitar isn’t a skill. It’s a way of being. Story originally posted on policymic.com by Jordan Taylor. admin June 4, 2015 . No Comments on Guitarists’ Brains are Different from Everyone Else’s. Categories: Guitar Information, Guitar Player, Musician, Performance Information, Synchronization. Tags: Brains, Guitar, Synchronization. After almost five years, lots of speculation and a few Nick Littlemore disappearances, in March local titans Empire of the Sun announced they were coming back with a new record. The long-awaited second album Ice on the Dune wouldn’t be here until June 4, but the boys did have one sneak peek planned: Empire would make their live return at Sydney’s Opera House, as part of the 2013 Vivid Live line-up. They’d play two dates – both of which would end up selling out – and preview material from the new album as well as working through hits from their ARIA-sweeping, platinum selling debut. When the lights dimmed, the smoke machine kicked into gear and the music started to swell, Luke Steele was lifted onto stage on a rising podium, fist raised in salute and headdress on. Nick Littlemore, however, was nowhere to be seen. Perhaps he was off writing new Pnau material. He could have been busy scoring Cirque de Soleil with Elton John. Maybe he was just at home on the couch, watching his bandmate do it for the both of them on the Vivid live stream. We can’t tell you where one half of Empire of the Sun was, but we can be sure that he wasn’t at the Opera House. How many costume changes does it take to put on an Empire of the Sun live show? About 10, apparently. Throughout the 70-minute set, Luke Steele and his small army of very flexible back-up dancers proved they’ve mastered the art of slipping backstage for the blink-and-you’ll- miss-it costume change. Luke swapped headdress and cloak a couple of times before winding up in a gold lamé number for the big encore, while the dancers worked through a string of skin-tight bodysuits adorned, variously, by fluoro pink guitars, red tutus around the neck, mounds of white fluff on their shoulders and other feats of design I can’t adequately describe. Step aside, Katy Perry. Second album Ice on the Dune might not be out yet, but that didn’t stop the crowd enjoying it just as much as that platinum-selling debut album (even if sing-a-longs weren’t on the cards). We Are The People and Walking on a Dream were obvious standouts, but the biggest moment of the night was reserved for the encore of new single Alive. So if the Opera House audience is any gauge, Ice on the Dune is going to fare alright. It was bad news for lazy types who were looking forward to sitting down for the show (yes, that’d be me) because midway through the third song, Luke Steele commanded everyone to stand up. Unfortunately the Opera House isn’t really made for dancing, instead permitting only an awkward shuffle in the metre square you’ve been allocated. But that didn’t bother the crowd, who by and large seemed to relish the chance to throw in the odd fist pump. Besides, sit down and the rows of bodies in front of you will block the theatrics happening on stage – which, really, is as integral to the show as the songs. “It’s pretty much as important as the music,” Steele told inthemix before the show. “It’s like the colour of the skin of the music or the blood or the hair. It’s all encapsulated. Like Chad Atkins said “people hear with their eyes”. That’s the quote I always use.” So there you go. Dance music audiences aren’t often treated to the unpredictable on stage element live music has. Sure, there was that time Skream unplugged his mixer and handed it to someone in the crowd (“I was clearly smashed,” he later admitted) but for the most part, DJs are usually pretty well behaved on stage. So when Luke Steele ended the show by smashing his guitar on stage with no shortage of force, it was hard not to enjoy the spectacle. Was it all a bit over the top? Sure, but that’s Empire. admin May 12, 2015 . No Comments on Five things we learnt watching Empire of the Sun’s live return. Categories: Band Info, Collaboration, Concert Info, DJ, Guitar Information, Guitar Player, Live Music, Musician, Performance Information, Special Events. Tags: Empire of the Sun, New Music, Show Info, Walking in a Dream, We are The People. There’s is nothing better than recording a top guitarist using great gear, but some of us need to add some electric guitar to tracks now and again. We don’t have the money or can’t justify spending a fortune on a top guitar and amp, but is it possible to get a great guitar sound on a budget? Try and record using a guitar amp whenever possible. Even if you have to borrow or hire a guitar amp, there’s nothing like the real thing. Amp sims have come a long way, but the combination of a real amp, the mic and the room will still give you a sense of space and dynamics that can’t be beaten. Try a number of different microphones. If you have little budget then you can’t beat the Shure SM57, then try moving it around in front of the amp until you get the sound you want. If you have the chance to try a few mics then set them up in front of the amp and then have someone move them around whilst you check the sound – if you have no control room then use a pair of headphones for this task. You will be amazed how different a guitar can sound as you move the mic around in front of the cab. Track a mic’d version and a DI version at the same time, this gives you a lot of options in the mix. If nothing else adding an effect or another plug-in and mixing them together can give some great results. This is often done when tracking bass guitar but less so when tracking electric guitar. There are some great amp sims out there in plug-in form. Sansamp ships with Pro Tools but is often overlooked. There’s also a lot of FREE guitar amp plug-ins like Amplitube, Eleven Free and others. Do some searching and you’ll some cool free stuff for both Mac and PC. As a last resort download a demo copy for a session and use it – it’s not illegal, just smart if you only need it for a day! Whilst I’m not a fan of tracks with hundreds of guitar parts there is something to be said for playing several different parts, it’s partly down to the genre of music you are recording. If you only have one guitar part recorded then a nice trick is to make a copy of the guitar track and then slip it slightly on the time-line, then add a different sound to it using an amp sim. Finally pan them left and right. You’ll be amazed at how big one guitar can sound using this effect. These are just 5 tricks for those just starting out or on a budget. How about your tricks, we know some of the community have some real gems, please leave them in the comments section. Here are a few more tips to get a better sound. Double track the same inversion but with guitar in different tuning. Double track with a different guitar. USE A TUNER…..Preferably the same one as the other guitarist and the bass player. New strings are great but for the night before. admin May 1, 2015 . No Comments on 5 Ways To Get A Great Electric Guitar Sound On A Limited Budget. Categories: Guitar Information, Guitar Player, Music Tools, Musician, Performance Information, Producing & Recording, Resources, Tools & Tips, Tutorials, Tutorials. Why do older guitars sound better? Whether or not you’re a guitarist, you’ve probably at least once found yourself wondering why a musician who’s freakin’ loaded would play a beat-up old guitar that’s falling apart when they could easily afford 100 new ones. We’re looking at you, Willie Nelson. Aside from aesthetics (some people think beat-up stuff looks cool) and familiarity—every guitar is different, and players grow attached to them almost like family members—there’s another reason: instruments sound better as the wood they’re made from ages. Well, technically, just “different”, but just about any guitarist you ask will say it’s “better”. What happens when wood ages? According to luthier (instrument builder) Alan Carruth, wood consists mainly of cellulose, lignin, and hemicellulose, and all wood gradually loses hemicellulose—a soluble polysaccharide—to evaporation over a long period of time. As this happens, the wood loses some weight, but remains just as stiff, allowing it to continue to support the weight of strings. With less mass to have to vibrate, the guitar’s woods vibrate more freely, making the instrument louder and allowing previously dampened frequencies to resonate. The crystallization of sap inside the wood over time also contributes to the wood’s stiffness. Likewise, lignin degrades as spruce (the wood most commonly used for a guitar’s top) is exposed to sunlight. Most notably, this results in a usually white wood taking on a yellow or orange hue that tends to be considered more aesthetically pleasing. Of course, degradation of lignin means a change in the wood’s physical structure as well, meaning that it contributes to the sonic side effects of aging. Can this be done artificially? While guitar manufacturers have long been selling guitars with aging toners to make their instruments look like they’ve seen more years than they really have, these only affect a guitar’s aesthetics. More recently, however, manufacturers have begun to treat woods with a process called torrefaction. Wood destined to be used in guitar building is usually kiln-dried to a moisture level of about 6-10%. Usually, that is all that’s done, but torrefied wood is subsequently “cooked” at even higher temperatures in an oxygen-controlled environment until the wood’s moisture level reaches zero percent. Then, it’s removed from the kiln and brought back up to 3-6% humidity. All of this makes for a lighter, stiffer, more resonant piece of lumber, with a bit of a darkened, amber hue—the rapid heating of the wood and evaporation of moisture causes the sap to crystalize and hemicellulose to degrade more quickly. Whether accomplished artificially or naturally, the aging of wood affects the sound of an instrument, and most musicians hear it as a good effect. Just don’t expect this guitar to improve with age. admin April 23, 2015 . No Comments on Why do older guitars sound better?. Categories: General Information, Guitar Information, Guitar Player, Musician, Resources, Uncategorized. It is with great pleasure we announce that David Gilmour’s 2015 European tour dates have been officially announced! 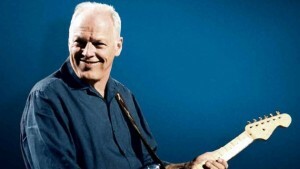 The new David Gilmour solo album 2015 will also be released in September, so plenty to look forward to. It is yet untitled. Although we have to wait all the way until September 2015, he will be performing at 6 venues across Croatia, Italy, France, Germany and the UK. It is not known at this stage whether or not there will be any further dates announced – it says on David Gilmour’s blog that there are no other planned concerts, the site is currently down though. 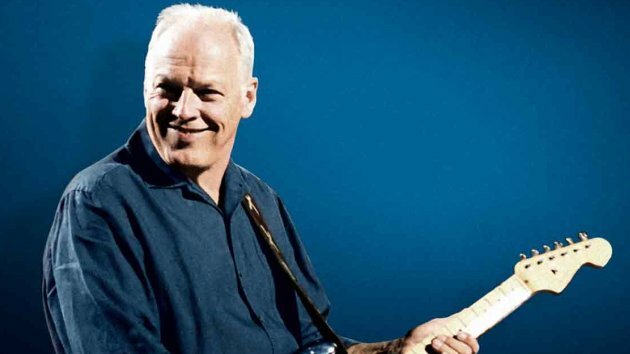 Tickets go on sale at 10am on 6th March 2015 – David Gilmour’s birthday of course! See more about ordering tickets below and look at UK tickets here. 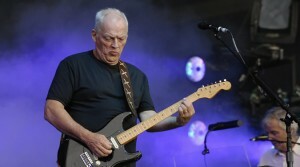 David Gilmour’s yet untitled 2015 album will be released in September 2015 to coincide with his tour which will be much to the pleasure of fans the world over. 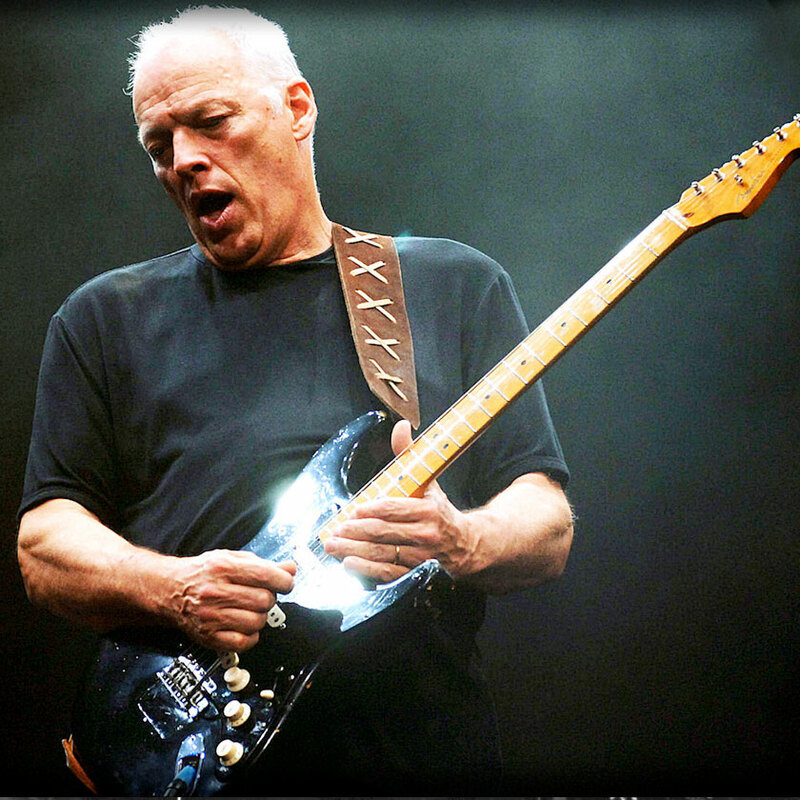 Don’t miss out on news regarding David Gilmour’s new album 2015 and tour in 2015. Make sure you get our free email newsletter, or follow us on Social Media via Facebook or Twitter. You can order tickets from David Gilmour’s tour page for links and details and get UK tickets from Ticketmaster. David Gilmour has said in interviews that he does not want the inconvenience of a massive stadium tour and the thought of anything on the scale of the old Pink Floyd sends him in to a cold shiver. It sure must be stressful putting on such huge concerts and could potentially take some of the enjoyment away – tell that to Roger Waters though with his massive Wall tour! David will be playing at 6 separate venues across Europe – for the dates announced so far on the European Leg – and are all smaller intimate venues compared to some of the massive places out there. The venues for the David Gilmour 2015 tour are absolutely beautiful except for two! This makes for a much more intimate concert and can greatly increase the pleasure of the audience because you are not sat half a mile away up in the top of the stands! Saying that, there will be a lot of demand for tickets so get in there quick on March 6th which is, of course, David Gilmour’s birthday! Here are the links to the concerts, click on them to explore where else he has played in those cities/countries and whether he has played that venue before. For example, David Gilmour has only ever played concert dates at the Royal Albert Hall (three times in May 2006 on his On An Island Tour) and has never played at any of the other venues announced so far! admin April 4, 2015 . No Comments on David Gilmour Concert Dates. Categories: Concert Info, Guitar Information, Guitar Player, Live Music, Musician, Performance Information, Uncategorized. admin March 5, 2015 . No Comments on David Gilmour Tour 2015. 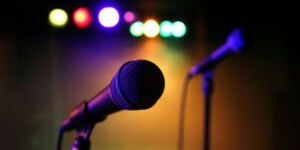 Categories: Band Info, Concert Info, General Information, Guitar Information, Guitar Player, Live Music, Special Events. Welcome My Friends – To The Show That Never Ends ! You have arrived at the web location for Larger Than Life Entertainment. We are dedicated to getting you the best entertainment for your event. Contact us for a quote and booking availability for 2016 and 2017. We specialize in all types of Entertainment, Live, DJ, Special Events such as Trivia Nights, Vinyl DJ Shows, Bands, Duo’s, Comedy Nights, and many other entertainment events. We also post and recommend information directed towards the performers and crew, and interested viewers of the Music and Film Industry. Check back often as we post and update on a regular basis with helpful, useful information that will definitely keep you up to date in the entertainment field. Thanking you in advance for your viewership and please post or reply to an article if you would like more information or you have something to say to us or our readers. admin March 4, 2015 . No Comments on Welcome My Friends – To The Show That Never Ends !. Categories: Band Info, Collaboration, Concert Info, Cycle of Fifths, DJ, Drum Sequencing, Event, Filming & Video, Free Resources, Free Sounds, General Information, Guitar Information, Guitar Player, Live Music, Music Tools, Musician, Performance Information, Producing & Recording, Resources, Software, Special Events, Specialized DJ Shows, Theory, Tools & Tips, Tutorials, Tutorials, Video Tools, Wedding, Your Brain. Is It Time To Abandon 44.1kHz?